Do you want to visit our Macau casino? Send me next site's visit invitation! Host your own casino games! Veteran casino operators with 20-year stellar track record currently managing L'Arc Macau Hotel & Casino. Successful blockchain entrepreneurs who joined the blockchain industry since 2013 and have enjoyed multiple successes in blockchain technology deployment. First ever land-based brick-and-mortar casino utility token sales of 1 Billion USD. Bi-weekly tour for investors to visit our land-based casinos. Talk to the team and other DEC token fans and get the latest news. Founder & CEO. Former CEO of Jimei Group. 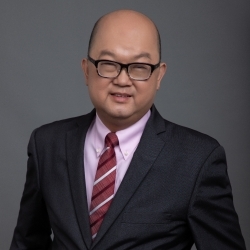 With 20+ years casino gaming industry experience, he has managed casinos in Macau, Korea, Philippines, North America, Cambodia, and Australia of over 5,000 employees. Chief Information Officer. 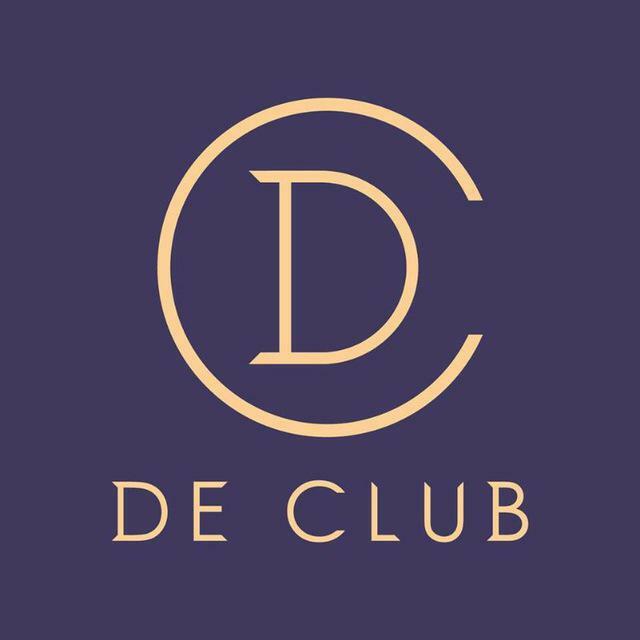 Entrepreneur, blockchain financial expert and venture builder. He founded the international multi-currency bitcoin trading platform KBBEX in 2014. It was funded by the Hong Kong Government's Cyberport Technology Fund and became the first crypto exchange that has been acknowledged by authority in Asia. Chief Technology Officer. CEO of TDEx Derivatives Exchange. Former SVP of 796 Exchange, the world’s first futures exchange for cryptocurrency. Technology Consultant of Asian Blockchain Society. Advisor of Ultima Online Chain (UOC). Product consultant (Greater China) of TradingSystemLab. Chief Artificial Intelligence Officer. Dr. Felix Lor holds a Ph.D. degree in Intelligent & Interactive Systems and Neural Networks in Telecommunications from Imperial College of Science, Technology & Medicine in UK. He invented an intelligent contract-based hedge fund model. He was the CTO of many companies. Prospective Legal Counsel. 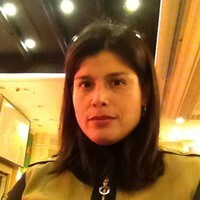 Ms. Alice Leonor Das Neves Costa received her LLM at Peking University in 1997. At the same year, she was appointed as the Judge of Court of First Instance (Lower Court) of Macau. In 2006, Ms. Alice was appointed as the President of the Collegiate Bench of Court of First Instance (Lower Court) and held the office until her retirement in 2017. Event Ambassador. Anna Cheung used to work as a business consultant in tackling intellectual property infringements. She is now working as a Senior Cultural Asset Development Manager closely with many Embassies and consulates overseas including Sweden, France, Spain, Italy, UAE and South Korea. Anna has been engaged in various global campaigns including Fête de Lumière Hong Kong and Expo Milano. Chief Marketing Officer. 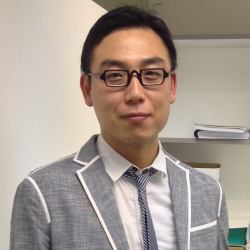 Founder and Chairman of New Fuhua Int. (SZ Stock Exchange, Qianhai Equity Exchange Center, Listing No. 962863). Former Deputy Chief Executive Officer of China Yinsheng Financial Credit Holdings. 25 years of experience in marketing & BD, esp. in the areas of payment, electronic trading, financing, property and hotel development investment. Mr. Paddy Fung joined Louis XIII Holdings Limited as Senior Vice President of Marketing in Jan 2014, Mr. Fung had been working with the Chairman of Louis XIII Holdings since 2009, serving high net worth guests, international and regional institutional and private investors and facilitating Mass Gaming and junket operations in Macau. Mr. Patrick Lam is a veteran in casino and gaming Industry. He had been working in The Crown Resorts Limited as a Senior Vice President - VIP Business Development. Crown wholly owns and operates two of Australia's leading gambling and entertainment complexes: Crown Melbourne and Crown Perth. Founder and Chairman of Tianfeng 21 Holdings Co., Ltd. (Shenzhen Stock Exchange, Qianhai Equity Exchange Center, Listing No. 962842). Mr. Feng was the former vice president of China City Investment Group. 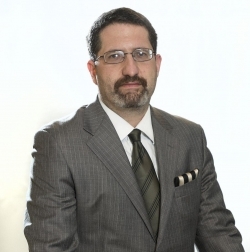 He has over 10 years of experience in financial and loan recovery. Mr. Feng is currently managing a loan account of HK$3 billion. 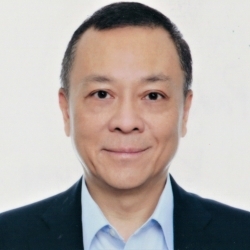 Former VP of the Loan Department of China Yinsheng Financial Holding Co., Ltd., specializing in loan sales, business planning and expansion. Mr. Yang has been in the credit industry for 30 years. He has extensive management, operations and marketing experience. The scope of employment includes personal retail, mortgage and credit card business. He has served as a senior manager of several financial institutions, such as Bangmin Japan Finance, Wing Hang Bank and AEON Credit Finance (Listing No. 0900). Mr. Robert Neivert is a Venture Partner at 500 Startups running the blockchain program. He was previously an executive for startups having founded or worked at eight companies with four exits and four companies still operating. He is an experienced Senior management or executive positions in six startups (Ventro/Chemdex, Datasweep, Blazent, Equilar, Fididel, HighlightCam). CMO of Blockpass.org. Entrepreneur and preacher of blockchain. He is a co-founder of Chain of Things - a HK-based startup integrating blockchain & IoT devices. In 2012, he sold his previous company, a data collection and analytics research firm focused on mainland Chinese high-tech industries. During the Internet boom, Hans provided due diligence support for the internet.com Venture Capital Fund in Asia, investing in several Internet startups in Greater China. As a tech journalist in the late 1990's, he interviewed Jack Ma, Jerry Yang, Vinton Cerf and Richard Li Tzar Kai. Hans earned a Ph.D. degree from the University of Hong Kong in 1997 and a Sir Edward Youde Memorial Fellowship in 1995-1996. Mr. Alexandr Chevtaev is a tech entrepreneur, international speaker and startups advisor. Alexandr is a recognized expert in Internet business, blockchain, ICO/STO, introducing innovative products and business development. He is a Co-Founder mmviii Digital Assets Group - one of the leading companies in ICO management space. Alexandr holds an International MBA degree from one of the leading business schools in the world - IE Business School. Michael Kapilkov has been involved in the blockchain space since 2015 and has founded several blockchain startups. Prior to that he has worked in finance and consulting. 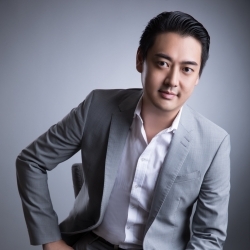 Currently, he serves as the managing director at mmviii  Digital Assets Group. Michael Kapilkov has served as an advisor to several ICO startups, including Pundi X (NPXS), CREDITS (CS), Cryptyk (CTK), Alchemy Coin (AFI) and Job.com (JOBTK). He is a regular contributor to CryptoInsider.com. He writes on the topics of cryptocurrency, blockchain and ICO. He is frequently invited to speak at cryptocurrency conferences and events. He has attended Columbia University and holds MBA from IE Business School. Start the investment journey of your lifetime!